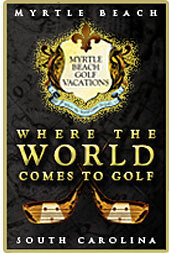 Myrtle Beach is offering the following great deals for your vacation in Myrtle Beach. Be sure to act fast, these offers do not last long! Side view rooms- $35 per night! Ocean Front Efficiency - $49.00! Ocean Front Suites - $59.00! Stay Sunday thru Thursday and save BIG! Valid April 27- May 8 and May 18 - May 22, 2008 Not good on existing reservations. No other discounts apply. Side View Rooms starting at $29.00 per night for 2 or more nights. Sunday - Thursday nights only. Rack on weekends. Not valid May 14, 15 and 25. Not valid on existing reservations, golf packages, other promotions. Must be 25 years or older. Limited Available. We reserve the right to discontinue this special at any time for any reason. Weekends, Holidays, and Special Events at rack rate. This special is limited! Book now!